Anime-ZAP! first happened with just three days of planning - it was literally the first 'instant' anime con. Now it's grown to be the largest winter anime event in Illinois. Anime-ZAP! is one of the cheapest anime conventions to attend, admissions is always very cheap. Anime-ZAP! doesn't focus on guests often, instead focusing on fun events. AniMinneapolis is an annual anime convention happening in Minneapolis, which brought together over 1200 fans in the first year and has since grown into one of the best conventions ever with thousands attending every year. 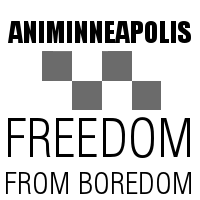 AniMinneapolis combines a unique mix of nerdy fandom and awesome anime to make one of the best conventions possible, giving Minneapolis anime fans something epic to do every summer. Kanpai! means Cheers! in Japanese, and we'd like to say Cheers! to all our friends in Nebraska! Kanpai!Con is meant to be a fun, relaxed convention with a fun course of events and lots of great guests. The convention will be extra awesome as it will be held at the Coco Key waterpark! Join us in Nebraska for three days of cosplay, vendors, artists, video games, musical performances, anime screenings, and much more. Anime Midwest is famous for having the most amazing guests to ever come to the same con, and this year it moves closer to the heart of Chicago. Past guests have ranged from GLaDOS to the LeetStreet Boys. Anime Midwest focuses on bringing unique, new events to Chicago with some friendly staff. Attendees come to Anime Midwest to make a ton of friends and meet some of the coolest famous people in the world. Anime-zing! is the first anime convention brought to the Quad Cities region, and its focus on building a fun local community is unmatched. It's super cheap and has awesome guests. Anime-zing! 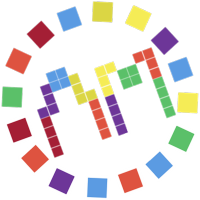 is designed from the ground up to be a fun community event that is friendly to people of all ages. 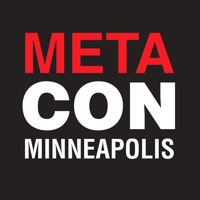 Meta Con is a general geek and nerd-life convention happening in Minneapolis started in 2012. It is, essentially, the Minneapolis Comic Con. Meta Con focuses on guests from TV, Sci-Fi, and Anime, in addition to a massive exhibit hall. Anime fans also have a ton of fun at Meta Con, as we also have a huge anime portion. Every year Meta Con brings awesome TV stars together with a wonderful community of fans and geeks. Con+Alt+Delete is our end of year celebration of anime and video games, in Chicago. Giving fans of Anime Midwest and all our other cons a convention in the winter in a key location, C+A+D always turns out to be a killer event. 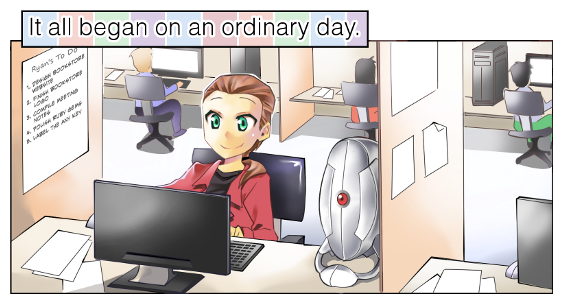 We also use it to experiment with new ideas: it's where we introduced our maid cafe, improved ConSweet food, improved registration, and more. We treat every convention like it's supposed to be the best weekend of your entire year, so we never skip the details. Every convention is still unique, with it's own flavor and style. Anime-ZAP!, for example, is a smaller event (1000 people and three days long) that focuses on making new friends, while AniMinneapolis mixes in Nerdcore rap music with awesome voice actors. Every con is special, and every con is the best con it can be. Every year the conventions add new events, guests, and experiences, so you're encouraged to attend as many as you can!